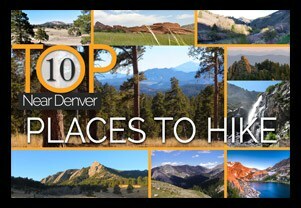 This loop hike in White Ranch Park is a great escape, a place to watch the glow of twilight on the city of Denver as the sun sets in the West. 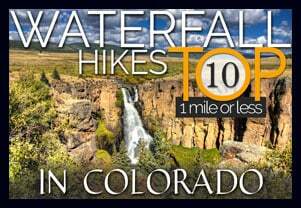 This Colorado trail is set at the very beginning of the foothills. 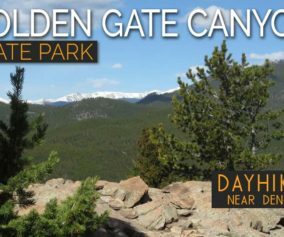 You’ll journey across a tranquil meadow punctuated with ponderosa pine and decorated with Spring and early Summer wildflowers. In the trail profile below, we’ll show you how to create what we are calling the Sunset Loop by putting together a series of short trails. 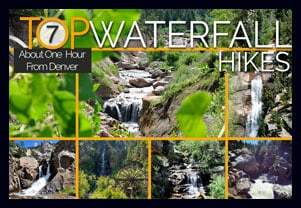 To get the details on this hike near Denver, Colorado, scroll down and take a look at the detailed trail profile, map, hiking trail tips, and the video panorama. 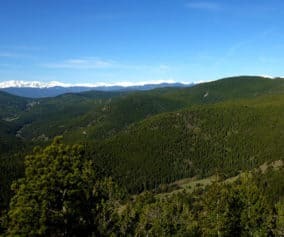 If you are looking for a great family hike or for a mountain biking experience in the foothills, White Ranch Park offers you a network of trails, with enough variety to please anyone. There are two parking lots .3 miles apart. The second parking at White Ranch has more capacity. We went on a Friday afternoon and only a handful of folks were on the trails, but we hear that it gets much more traffic on the weekends. 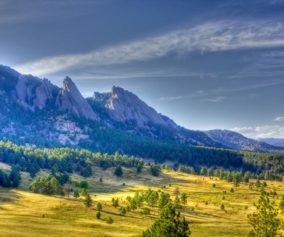 The Ralston Buttes, a unique geologic formation, dominates the landscape in the distant northeast region of the park. It’s a protected area because of its sensitive ecosystem. Though it’s not accessible by trail, you’ll get a lot of great views of the Buttes at various points of this loop hike. Start your adventure at the second parking lot with the Rawhide Trail. Rawhide trail lays on the edge of a vast meadow. The complete trail is 4.5 miles long, but to form this loop, you’ll only hike a segment, before you join up with the Longhorn trail. 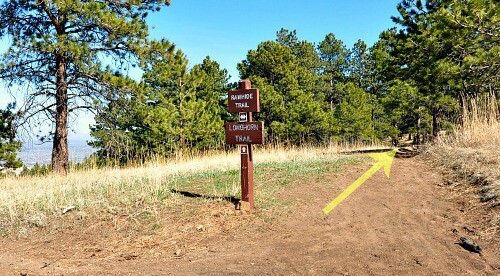 It can be tricky to find the Rawhide trail, but it’s the first one to the east at the trailhead (on your right, if you are facing the trailhead sign). See the photo just below. In the distance you will have a chance to see some old ranch buildings and farm machinery. 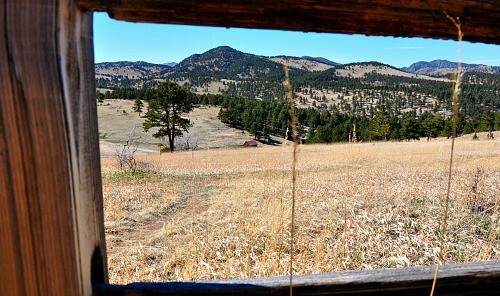 You can imagine what it might have been like to farm this rugged area perched above Denver. 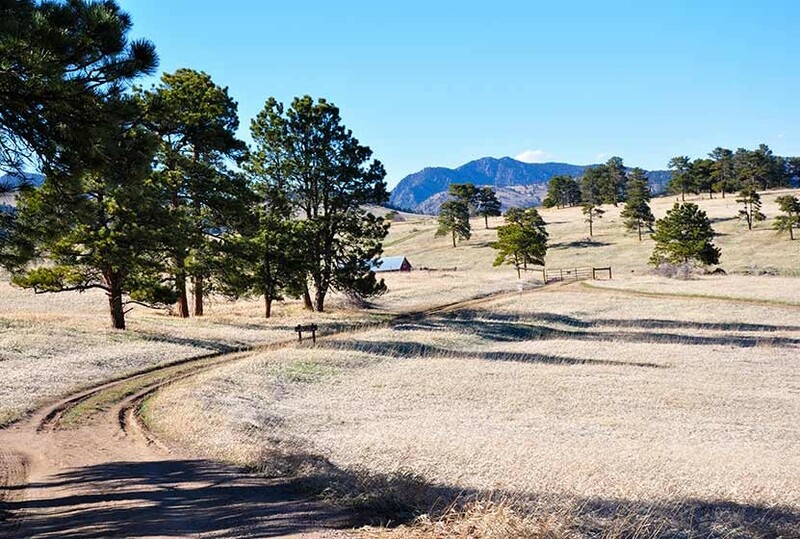 While cattle no longer graze these meadows, White Ranch Park is home to several species of wildlife including elk, deer, mountain lions, bears, wild turkeys, and bobcats. When you get to the intersection with the Longhorn trail, you’ll turn right and enter the second part of the hike. 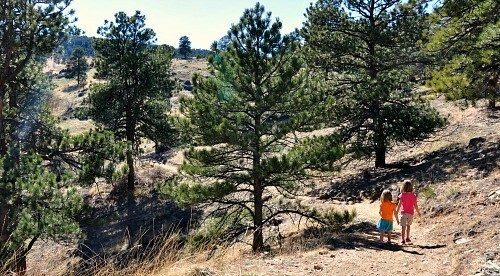 Open meadows are replaced with shade and the distinct perfume of Ponderosa pine as you walk along the trail. The trail itself is pretty clear and very well-kept. After about of a mile of ups and downs with some nice and easy inclines you can stop and enjoy the view before you turn right again and take the Maverick trail. Maverick Trail is good for riders and hikers of all skill levels. It’s 0.9 miles long and it is primarily used for hiking. 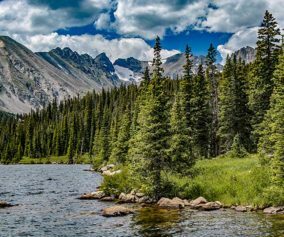 While hiking on this trail your eyes may be drawn to the beauty of the high plains, but watch out for the shallow roots that make their way into this part of the trail. It is not technically challenging but some riders have found themselves on their backs on this segment, and I’m sure a few hikers have tripped. 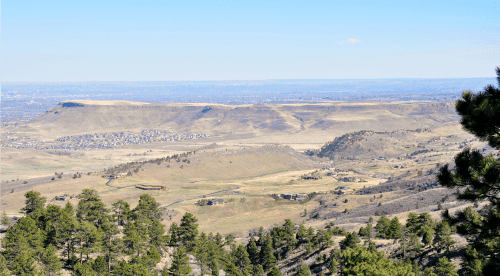 After some great views of Denver and out to the horizon in the East you will reach the end of the Maverick trail and an intersection with Belcher Hill trail. Turn right on the trail split and take a short path to the next intersection. Looking from right to left in front of you will be three roads – Sawmill trail (0.5 mi) that will take you back to the parking lot where you started your trail, Belcher Hill trail (0.6 mi) and Sawmill trail (0.8 mi) that can take you to Sawmill Hicker Camp. Take the Sawmill Trail to complete the Sunset Loop hike. 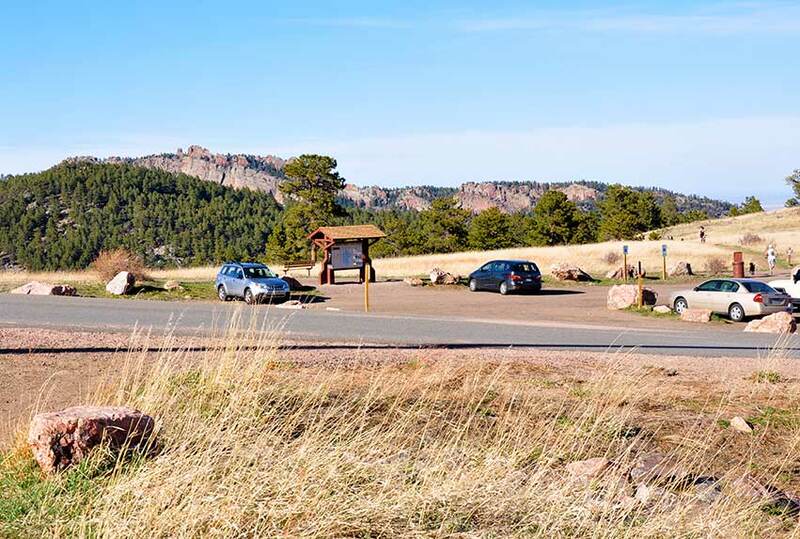 White Ranch is one of just two Jefferson County parks with campsites. There are 10 campsites available on this site, each has a picnic table, a metal fire ring, and some food storage poles. Also there is a maximum of three tents and eight people per site. 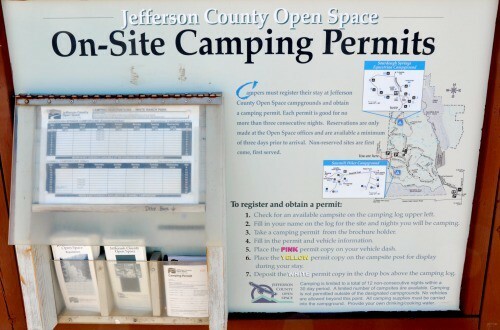 Camping permits are free and valid for a maximum stay of up to three nights. 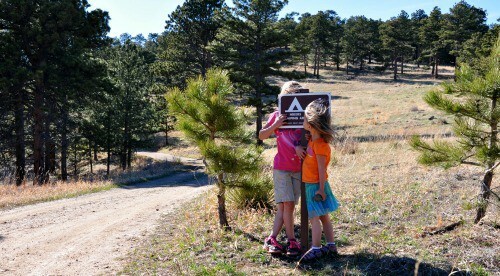 Click here for more details on camping in White Ranch Park and the most up to date regulations. Drinking Water: Keep in mind that drinking water hand pump at the campsite is only seasonally available (it is closed in winter). Ice in Spring: If you decide to hike this loop before April watch out for the slick spots of ice in the shade. Gets Windy: Because of its unique location, it can get pretty windy up in White Ranch Park. Might not want to wear your favorite hat.